An update on Weight Watchers . . .
You may have noticed that I haven’t mentioned the new WW program or my weight for a while here. Today let’s fix that. There were lots of things I liked about the new WW plan. I think the focus on eating less sugar and less saturated fat is a great thing in principle and the tracking for points remains as easy as ever, despite the occasionally twitchy app. I was doing online only, so I can’t say how well the meetings have shifted to focus on this more holistic approach to health beyond just weight loss might be going but I certainly agree with that in principle. But . . . I didn’t really lose weight with the new plan. I tracked for 3 months, didn’t go over my points and other than the 5 pounds of water weight I lost pretty immediately, haven’t seen any progress in the scale. Or my clothes. Or really the way I feel, other than feeling good in some weird way about tracking again and focusing more consciously on how I eat. The program should work and absolutely did for me last time (albeit with a different program) so why isn’t it this time? Was I being honest with myself about how much I was eating and what I was eating? Yes, and I still weighed and measured my food. I actually ate less of the free fruits than I did when I was first losing weight, because that self-limiting is a (good) holdover from my calorie tracking days. I think the problem came in the fact that while my diet is not perfect by any means, it’s pretty good. 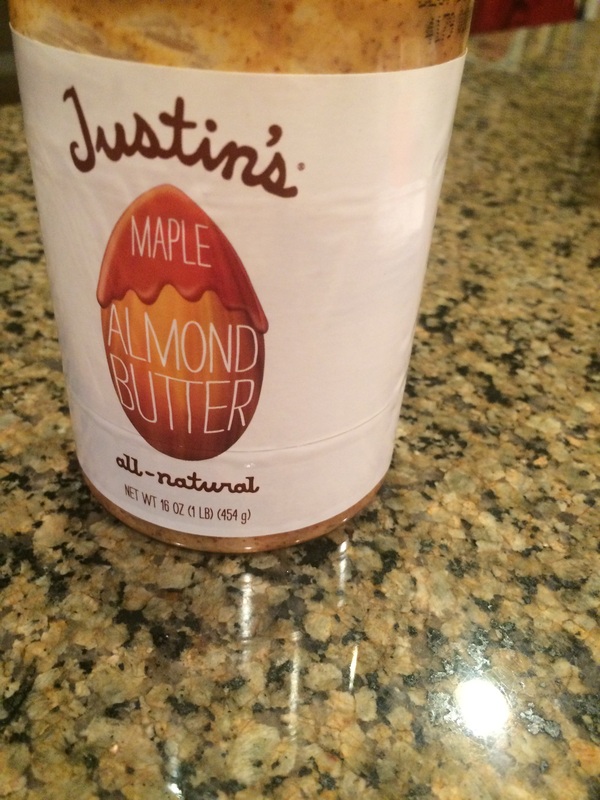 I don’t eat many high sugar or saturated fat items. I mostly eat veggies, lean proteins, fruit, etc. The things I eat the most of actually went DOWN in their points values, so I could eat more of them now than I could my first time around on the program. I also rarely had to pay the exorbitant “price” for indulgences like sugary things because I don’t eat many of those. Despite this, the new program gave me more points than I had before (the lowest points allotted now is 30, not 26 like before) so by following the program I was eating more food and therefore more calories than I had before. They were high quality calories for the most part, but the fact that the scale stagnated at 184 lbs is testament to the fact that even high quality calories count. I made lots of yummy, low point lunches thanks to the super “cheap” protein and veggie costs. I don’t think that means, by any stretch of the imagination, that the new iteration of the program is a failure. It would definitely give you encouragement and structure to make healthier choices, just like it did for me years ago. It just isn’t right for me at this point in time. My diet is pretty good in terms of quality – my focus likely needs to be on quantities if I want to get back down to the upper 160s (which I do still want to do – had a depressing experience trying on pants at Target yesterday!). On the plus side, going back to tracking with WW halted the weight gain I was experiencing. However, if I’m going to be paying for it, I want more than maintaining to be honest. Thus, I’m going back to using My Fitness Pal to track instead. It’s free, helps me keep my calories in check and provides that mental push of being “on plan” that I need to reinforce good choices. There is no right weight loss plan for everyone. Some people lose best with Weight Watchers or with a plan with provided food or with food restrictions or with calorie tracking alone. There is no one best approach because what is effective and sustainable is going to be different for each of us. We have different biology and different lifestyles and not only is that unique to each of us, it’s unique to the stage of our lives we’re in. When I was 100 pounds overweight, Weight Watchers was a literal life saver. Now that I have a much better quality of diet, different activity levels, have a chronic disease and am a little older, it apparently doesn’t work so much. That’s okay. That’s why this is a process of continually monitoring and adjusting. Have you found that different weight management strategies have worked for you at different times in your life? How do you measure your “success” with a particular eating & activity plan? A couple of weeks ago, when we talked about how it was going for me so far now that I’m back on Weight Watchers, I mentioned that the scale was stuck after an initial loss of few pounds of post-cookie bloating. The scale stinks sometimes, doesn’t it? 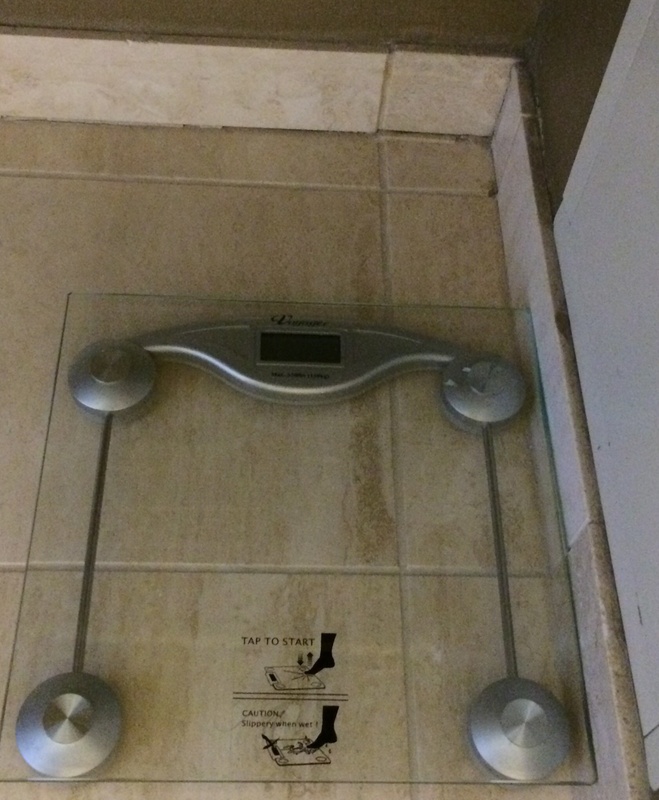 It can be surprisingly hard to make peace with the scale. I can happily report that my patience paid off and the scale finally budged. I’m back in the 170s and think, based on how I’ve felt at various weights in the last couple of years of “maintenance” that I’d like to get back to the upper-160s. I don’t think I’m going to focus too much on a particular number as a goal. The “good things,” in terms of healthy foods in healthy amounts and regular exercise, are the most important part of all of this. Maintaining those habits is what I’m actually using Weight Watchers for this time around, rather than looking for a particular number on the scale. I’ve decided not to track on the weekends, but rather to just practice making healthy choices to fuel my long runs. The balance of feeding a long run versus counting points gets too frustrating for me and I like the break from tracking for a couple of days. I just pick back up with tracking on Monday. Might this slow down my weight loss? Sure. I’d probably lose weight faster if I stuck to my normal tracking through the weekend. However, in terms of overall health, I’m more interesting in practicing those healthy choices and fueling my exercise than getting to a certain number in a certain time so I’m willing to make that trade off. I’ve made huge strides in patience with my weight loss since my first round of Weight Watchers a few years ago, where I got a little too focused on hitting those big milestones in a certain time frame. I think this perspective will serve me better in long run and since this is a “rest of my life” kind of journey, that’s definitely a success. How do you stay patient when you’re trying to lose weight? Back on Weight Watchers and one month in . . .
I’ve been back on Weight Watchers and using the new plan for about a month now, so I thought it was a good time for a little update and a little self-reflection on the process. Since I’d last actively tracked with Weight Watchers, they’ve switched from the Points Plus program I lost my 110 pounds with to the new Smart Points program. The shift resulted in lower cost to lean proteins and a higher cost in sugars and fats, especially saturated fats. I’ve found so far that the added cost of those sugars and fats are showing up for me when I eat out in restaurants and when I grab convenience foods like granola bars, which can seem healthier than they really are. 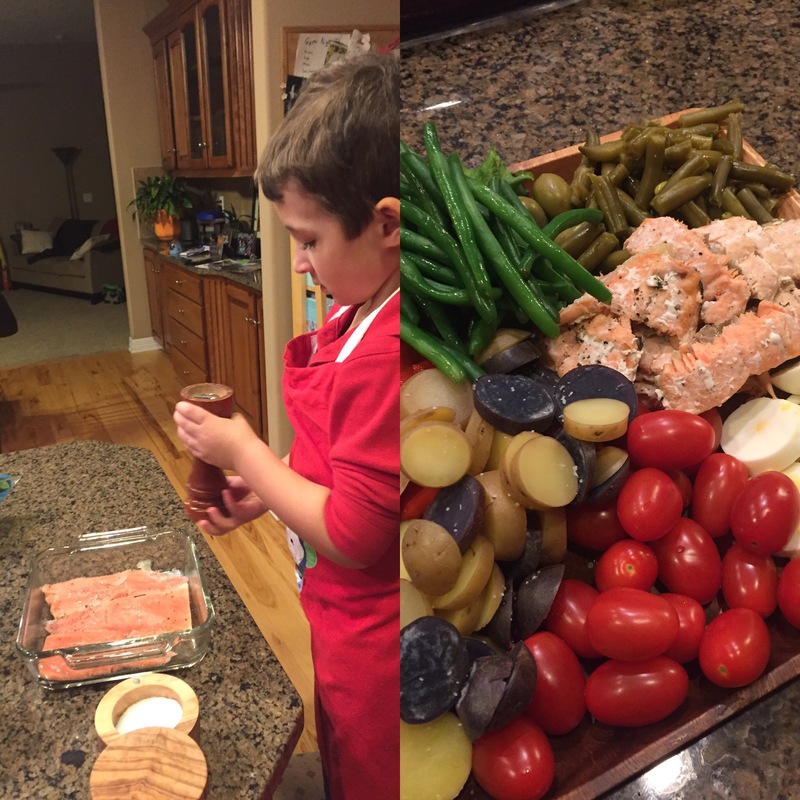 My little chef not only chose this salmon nicoise salad recipe and helped make it, he ATE it! My weigh in today was 181.1 lbs, well above where I’d like to be but 6.9 pounds down from where I started December 19th. Most of that weight came off in the first week and was likely water retention, but I’m pleasantly surprised by how not-stressed I am about my slow progress since then. I feel a lot better, my clothes fit better and I’m happy with the healthier food choices I’m making. The scale will catch up in time if I just stick with it. I think it helps that I prepaid for 3 months of the online program, so I might as well stick with it and use it at least that long, right? I’m experimenting with different lunch options since protein is so “cheap” like tuna and white bean salad, a Waldorf-ish chicken salad and leftover salmon today. It’s fun to break out of the sandwich rut I’d been in forever. It’s also refreshing to notice that I’m not starving even though I’m snacking less. It turns out, you don’t absolutely HAVE to eat something every time you have the urge. Amazing 🙂 I’d learned that when I lost weight before, but forgotten. I do find that I’m gravitating toward more “whole” foods this time around with WW that I did before, so I think my year without tracking and with a focus on healthier food in general did me some good. A lot of people have complained that the newer Smart Points make them feel like they are restricted in their eating, which I haven’t personally felt at all but I think that is because I’m eating largely unprocessed foods. I’m pleased with the plan so far and especially pleased with the fact that I’m being so patient with making changes that are good for me, regardless of what the scale does or doesn’t do. I know that it will take longer for my diet changes to pay off with my post-morbid obesity, almost 40 year old metabolism. I’ve also honestly not been as physically active in the last few weeks than I was when I was actively losing weight, so it isn’t surprising that things are a little slower without that added burn. What helps you to stay patient with the scale? Weight Watchers rolled out a new program this month called “Beyond the Scale.” Since hearing about the changes with the new program, I’d been considering restarting tracking with WW out of curiosity and to fit in my clothes a little easier (I’m precariously close to missing my goal for the year of fitting in my current jeans!). I’ve been running around the 180-ish range for a couple of months now and would really like to be back around the 168-170 range because my clothes fit much better back then. I have a closet full of clothes and if I’m honest, I can only comfortably wear a handful of them. I haven’t worn slacks to work in ages and even my beloved pencil skirts aren’t quite working. After the cookie-apocalypse this weekend, I decided it was time to pull the trigger. With the new program, they’ve shifted the calculations a bit so that fat and sugar cost you more points and protein less. Fruits and most veggies are still free and they even updated the recipe calculator so that fruits and veggies in foods (unless they’re blended like a smoothie) are also free. That glitch always bugged me in the old system! In the three days I’ve been back on plan and eating essentially the same things I ate back when I was on WW before, I haven’t noticed much change in point values for the kinds of foods I eat but I suspect that is because I tend to eat a lot of fruits, veggies and lean proteins when I’m eating well. It’s been amazingly easy for me to get back to eating “the way I should.” So why did I stray so far? Ugh! I’ve noticed some things cost me a point or two more, especially when I eat out, but that’s not necessarily a bad thing for me. I eat out in restaurants fairly often and really should pay attention to what I’m choosing a little more carefully. 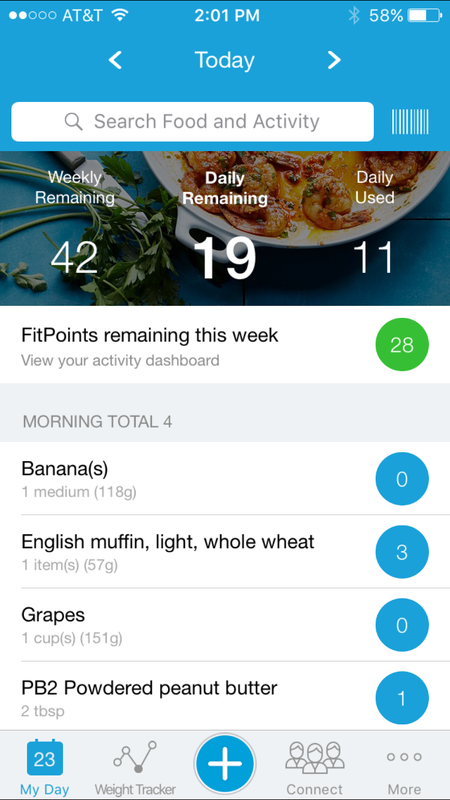 They’re apparently also “discouraging” the use of activity points (now FitPoints) and weekly points with the new system. I’m doing online only for now and haven’t made it to a meeting, so I don’t know exactly how they’re pitching this. This would be a definite shift from how the program was presented to me before, as my check in ladies were always encouraging me to “Eat your weekly points and activity points!” any week I had a big loss. However, it’s not actually a difference from what I really did. I only used my weekly and activity points for REAL indulgences and treats on rare occasions – not every week and almost never all of them. Honestly, I just felt better knowing I had them so I wouldn’t be “cheating” if I had a big treat. They were a little security blanket. All in all, this program is very similar to how I actually ate on Weight Watchers when I lost weight with the older Points Plus program. However, I can see where this is a big shift for people who didn’t make the same kinds of food choices I did. A lot of people like Weight Watchers because it really did allow you to keep eating the same stuff you always did – just a reasonable portion. The new program has definitely been set up to steer you more actively in the direction of less added sugar and fat. That isn’t necessarily a bad thing. There’s really not much question that added sugar should be a small amounts/sometimes thing and the same with saturated fat. A lot of people have complained that it is forcing you to be “low carb” but it seems more to be a “smart carb” push than anything else. Whole grains, reasonable sizes, as much fruit as you want – carbs are okay if they’re good ones. It is forcing you to make treats truly occasional things and I can see how that would be hard, especially at the beginning. I’m not sure how I would have done with this program from the beginning of my weight loss, because I really needed the “you can have anything” approach to make it seem doable. It does seem to suit where I am now, though. We’ve checked a couple of things that Darrell & I remember the old Points Plus values for and found that some things, like pizza, have gone up quite a bit. 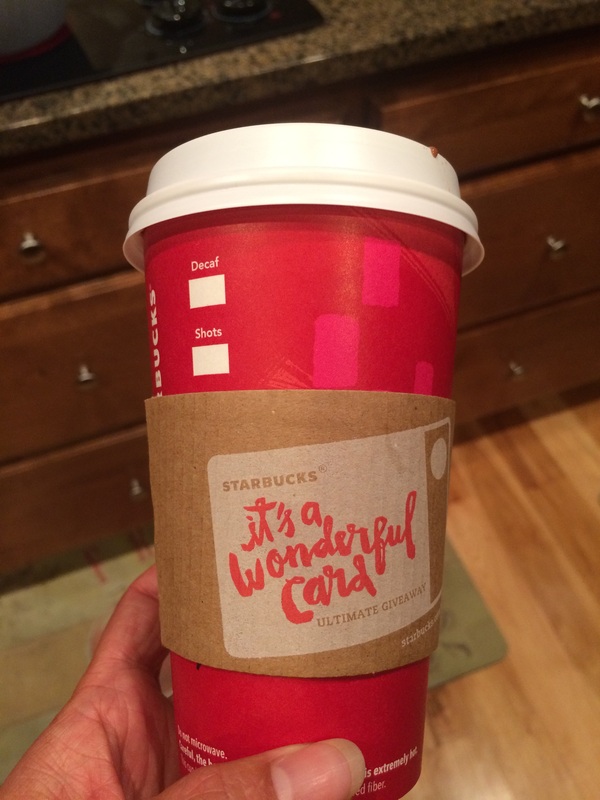 Others, like skinny lattes, have gone up by only a point. Interestingly, even though sugar is supposed to be calculated as “bad” (for lack of a better word) in this plan, the Gu gels I use to run are still 3 points and we all know those are ALL sugar. 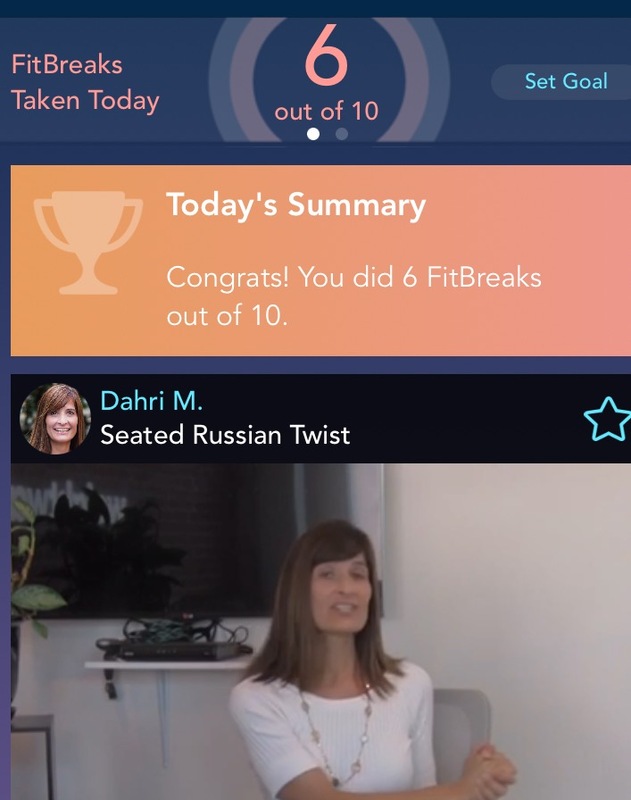 I like the addition of the FitBreak app, which has lots of little one minute workout breaks to incorporate into your day. Promoting more movement is a good thing. The apps overall are still slow, always a problem with WW. The videos are a little cheesy – especially the “glute squeeze” one! All in all, I think this will work for my particular issue, which has been letting those “sometime” treats trickle over too much into my every day eating. I am a fruit person, so the fact that I can have as much fruit as I want is keeping me (at least a few days in) from feeling like I’m being restricted and triggering a binge – a common concern people have expressed with this new “low sugar” program. Of course, launching a “low sugar” version of the program between Thanksgiving and Christmas was an interesting approach for WW to take. Judging by cookie-apocalypse, it was good timing for me, but a lot of people are particularly hating this timing. 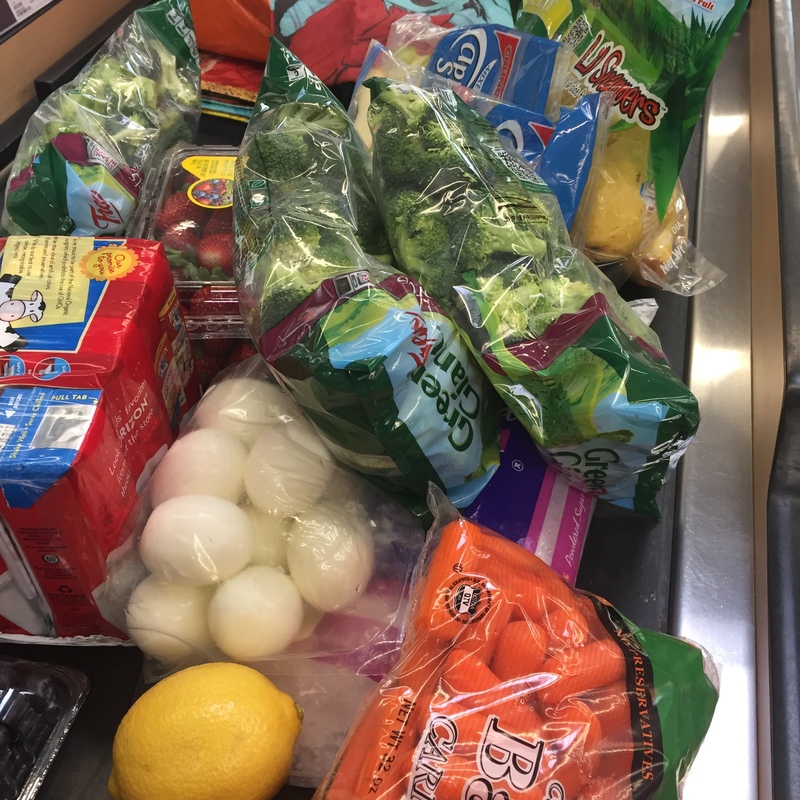 I went shopping on Sunday when I re-enrolled and ended up with a much more WW friendly grocery cart than I’d had for a while, another sign I’d strayed too far from healthy eating. Why did my grocery cart ever stop looking this produce-packed? Who knows – I may need to continually come on and off WW or something like it to maintain my weight loss. I’ve come to accept weight maintenance is really more about not regaining too much before I relose it for someone like me anyway and that’s not necessarily a bad thing. I may never reach that mythical place where I can just maintain intuitively and I’m not going to beat myself up because I can’t. I always learn things in the times “on” plan and in the times “off” plan, so it’s always a worthwhile journey. I’ll keep you posted as to how this goes and if I pick up anything new when/if I make it to a meeting instead of just doing it online. The “beyond the scale” part mentions focusing more on things about whole life health and being kind to yourself, but that must be more of a meeting thing because I don’t really see that reflected anywhere in the online program other than some articles which are similar to what they’ve had before. 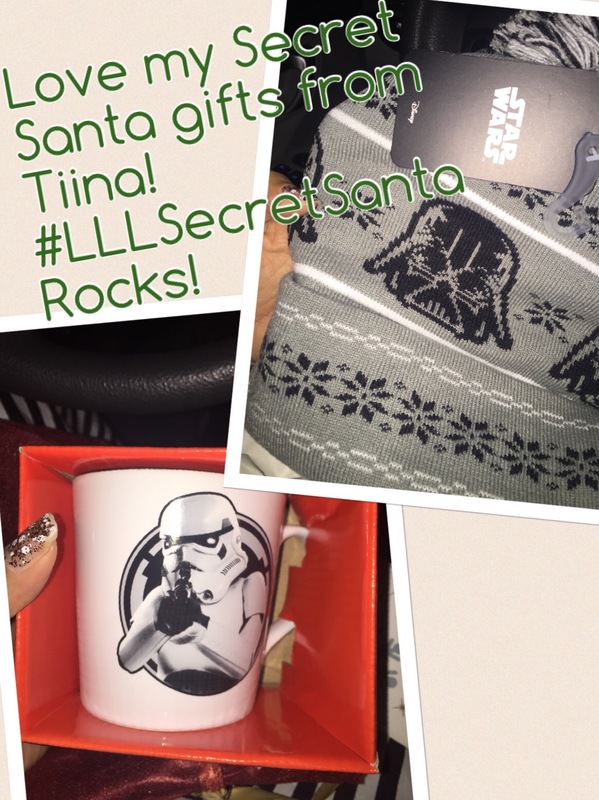 Check out my awesome Secret Santa gift! Totally wearing this hat when I finally get to go see Star Wars! Have you tried the new program? Love it? Hate it? 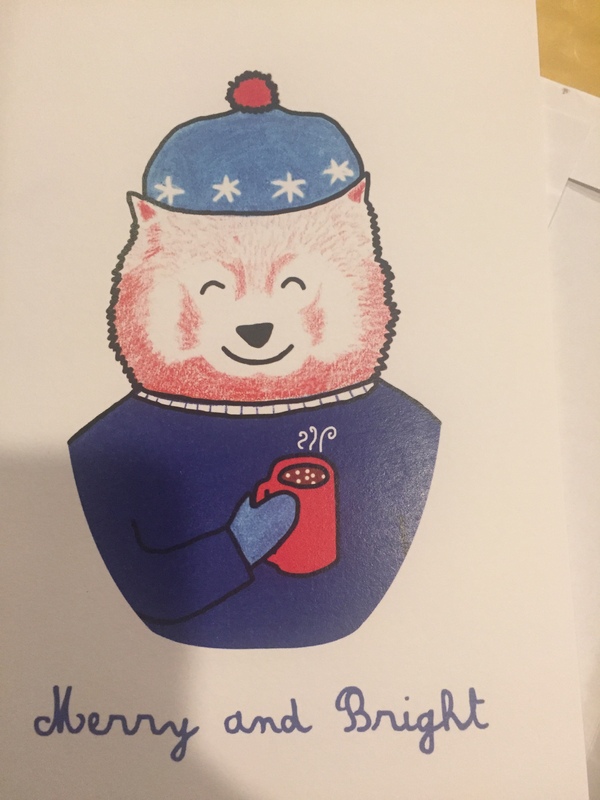 Thanks to Becky at OKSoHeresthePlan for this super cute Christmas card as part of Meranda and Lacey’s blogger card exchange! 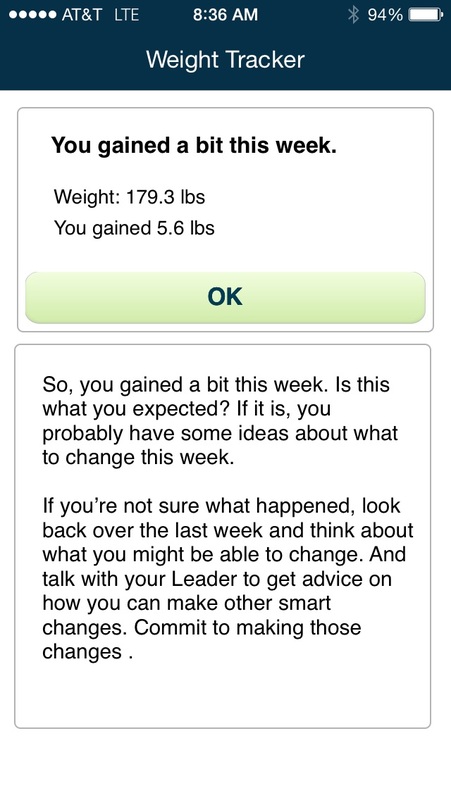 I mentioned last week that I had a friend who was about to become a Weight Watchers leader. She’d asked at the time for my advice (in full disclosure, this is the same friend who said something insensitive that triggered the whole “outing myself as a binge eater” thing) because she wanted to avoid future missteps. At the time, my oh-so-complicated advice was “Well, don’t do that again” but since that time I’ve thought a lot about the advice I’d actually give someone who was starting out. I’ve certainly worked with a lot of WW leaders, one I adored, several who were “okay” and one less-than-stellar, to put it kindly. By watching them and thanks to your advice last week (thanks! ), I think have a better list of advice to send her. Focus as much (or more) on more general tips for weight loss and lifestyle changes as you do the particulars of the Weight Watchers program itself. As Jennifer at Running on Lentils pointed out last week, the least effective leaders are the ones who just read from the program guide. Yes, you need someone who can guide you through the points system but more importantly for long term success, you need someone who can talk to you about things beyond the Weight Watchers program. I’m pleased to hear that the WW program itself has actually shifted to cover more of these issues, like dealing with emotional eating. Engage the whole group without letting any one party control the conversation. My favorite leader was great about this. She always had control of the room and reached out to involve everyone. She always made it a point to know what was going on in her member’s lives and pulled us in so that everyone got to contribute. Amanda mentioned this as a key in her training as a group therapist and it would definitely help in a WW meeting room. I’ve had some who completely lost control of the conversation in the room and some who only engaged their favorites to the exclusion of others. It takes a lot of skill to balance the room. Be genuine about your experience, both with weight loss and maintenance. That means being honest about when you slip and also being honest what your weight loss experience has been. I still remember a WW leader who’d lost 100 pounds talking to us about going to the movies alone so no one would see what she did and then getting a large popcorn with a bag of M&M’s dumped in and thought “SHE understands where I’ve been.” On the other hand, don’t presume you know what it’s like to lose 100 pounds (or need to lose 100 pounds) if you only had 5 to lose. Those are different things. People need both perspectives, absolutely, but if you pretend (pretend is the wrong word, I know, because people can do this with good intentions) to know what is like to have lived a story you didn’t, you lose authority by losing sincerity. Does that make sense? Instead, draw out those stories in your group that show the diversity of the weight loss experience is like and use those to supplement your own. One day we did a panel of people who’d lost various amounts of weight and were at various points in our stories. I brought in this shirt of Darrell’s, which I vividly remember wouldn’t close in front of me on our wedding night. Lay the groundwork for maintenance throughout the weight loss process. Engaging your maintainers is a great way to do this, which has the bonus of getting them involved as well! I think that was hugely helpful for me, in that my first leader talked about the big picture of lifelong sustainable habits from the very beginning. Make as big a deal out of NSVs as you do the weight loss successes. A big lesson to learn in weight loss is that success is not going to be a straight line. You can do everything “right” and still not see the scale cooperate in the way you’d like. However, you still did lots of good work that deserves celebrating! Just as importantly, when you get to maintenance and your success isn’t measured on the scale anymore, having established the habit of celebrating NSVs helps to keep you on track. 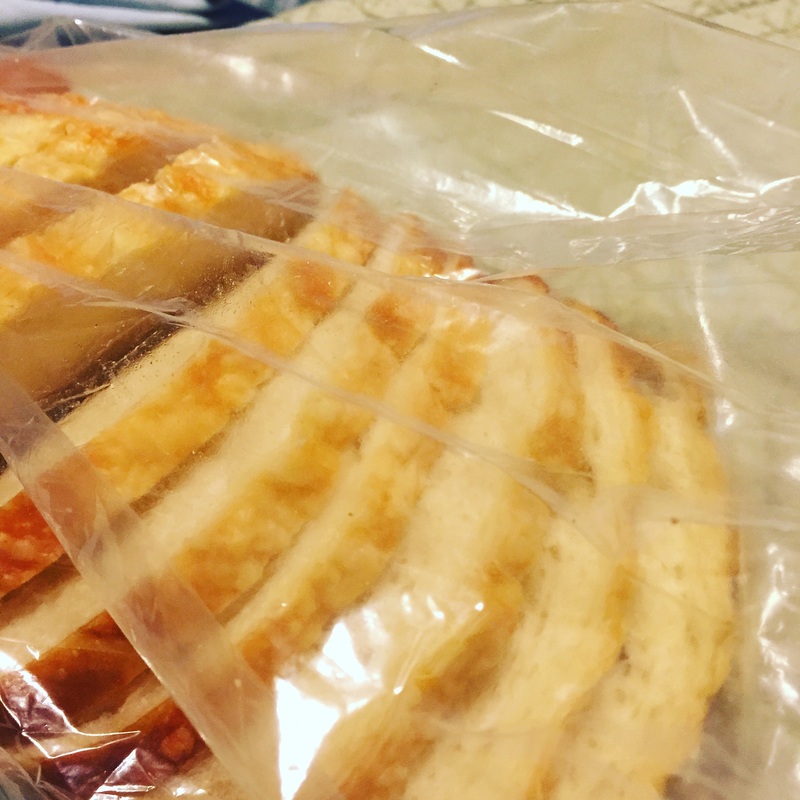 NSV for me this weekend: Bought this bread – a total binge food for me in the past – and only ate one piece before I closed it up and put it away. I used to inhale whole loaves of this in my office! I think these ideas would apply to any weight loss group, not just Weight Watchers, and that’s maybe part of the point. Giving people practical skills beyond the app or tools of your particular weight loss program will help them learn how to sustain success in the long term. Giving everyone a place they feel safe and valued is also key in providing the kind of support an undertaking this big needs. What advice would you give someone starting as a weight loss group leader? Weight Loss Wednesday: Good thoughts today please! 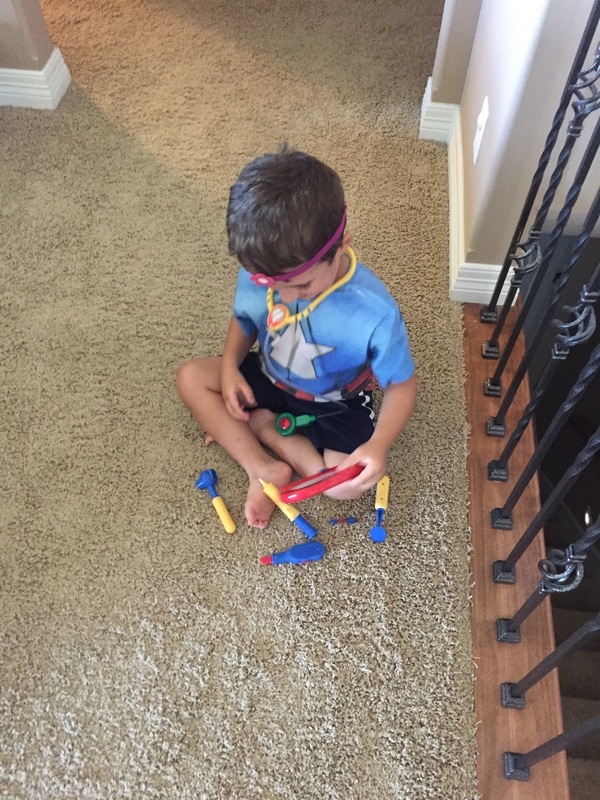 When O heard me on the phone setting things up with rheumatology, he got his doctor stuff out so he could make me better. What a sweetheart! It’s never fair for people to get sick – it just happens. And people are much more sick than I am, so I’m lucky. And being healthy makes it all easier to bear – the fact that I got healthy doesn’t make it especially unfair that I might be sick or mean that I got “cheated.” Can you tell I’m doing a lot of self-talk today? Really, I need you guys to come with me throughout the day to keep me from eating everything in sight so that all of this angst will just get washed away in the oblivion of food and a binge that leaves me feeling worse than I do now. I don’t miss the disgust that came with binge eating, but right about now I miss that all-too-brief oblivion I got before the disgust sank in. Thanks for the good vibes, as always. Always a little weird to me when Weight Watchers gives me a point back – it’s like I’m being rewarded for a gain with extra food! – Why did this number show up? Take an honest look at the foods and activity I’ve tracked and decide if I was honest in my tracking, if I made choices that resulted in this gain – real or not (salty or carby choices make me retain water) or if I made good choices in terms of food and exercise and this is just a meaningless blip. – Step back to look at the bigger trend. I’ve been steadily working my way back down for the last several weeks, which I can see on this lovely little graph, so I know the things I’m doing are working. I just need to stick with them. On the other hand, if I see a gain again next week or if this weight doesn’t go anywhere, then that is not a positive trend and I need to start seriously re-evaluating my plans. I love graphs – it makes it so much easier to see the overall trend of improvement. This is just one data point. – Remind myself of all of the NSVs I’ve noticed recently. So I lost a little ground on the scale this week. That’s okay because you know what else happened this week? I was able to run and play with my kid at Thanksgiving all he wanted and my pants were comfortable after eating Thanksgiving dinner because a) I didn’t overeat and b) my pants fit better! I also had a physical for my life insurance (being hospitalized last month made me realize things can happen at any time and maybe we need more coverage) yesterday morning and my blood pressure was 90/60. 90/60!! That’s a long way from the 220/110 that required two blood pressure medications to control just a couple of years ago. In January I’ll actually celebrate two years off of blood pressure medication. I’ve come a long way and one gain, so long as it doesn’t continue, is not going to undo all that progress. 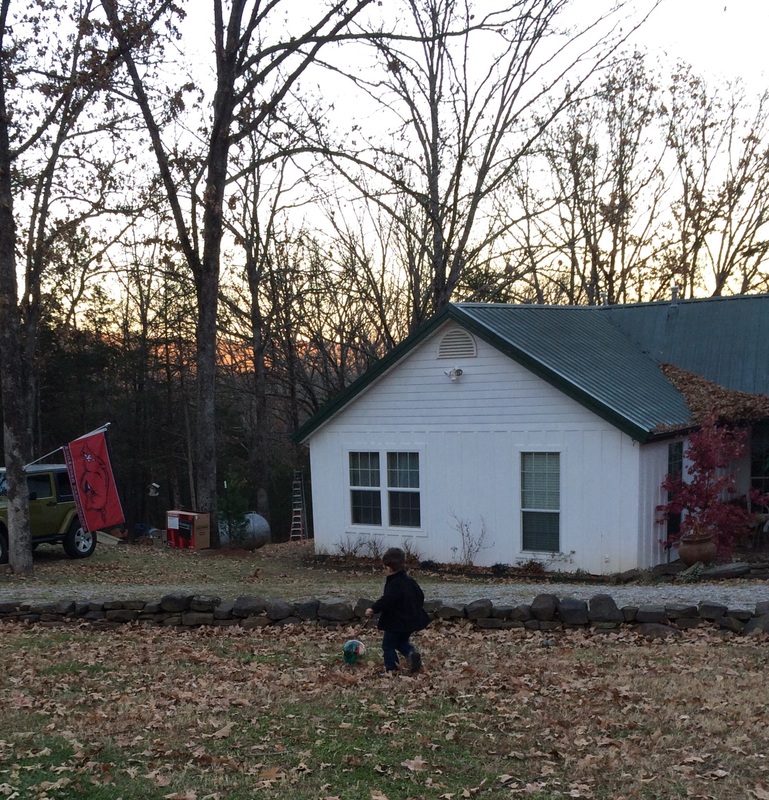 Little boy with a ball + lots of leaves = lots of running and kicking! What did I actively remind myself not to do? – I didn’t beat myself up for the gain. It’s a number on a scale. That’s it. Gravity. It says nothing about my worth as a person. I love this post over on Terra Ayres about the fact that we don’t have to EARN self-love. We should learn to love ourselves even when we don’t meet our workout or weight loss goals, but that can be hard to do. Not only does beating yourself up not help, in my case it also leads to wanting to EAT ALL THE THINGS so it’s definitely something to avoid. By now I’ve got lots of experience with gains, both expected and unexpected, so I know this is a bumpy road, but early in my weight loss journey this would definitely trigger a lot of self-loathing. I’m proud to say that this time, it didn’t really both me at all (remind me of this if I’m stepping on the scale every day for the next week and getting more and more angsty if it doesn’t move!!). – I didn’t stop eating to try to get things back to “normal” faster. Restricting yourself because of gain is not a good idea, especially if you’re a binge eater like me. With my first unexpected gain back when I was initially losing weight, I ended up cutting way back on the points I was eating each day for the next week just to get the number on the scale back down. It worked, but the following week I had another gain and had a cycle of gain/loss/gain/loss for a few weeks. It was so frustrating and only stopped when I ignored the scale and just ate my points like I was supposed to. Just stick to the plan. Now I remind myself of that graph up above, showing me that the way I’ve been eating and exercising works for me. I just need to stick with it and keep making the next healthy choice. This too shall pass. If this gain is still hanging around next week, it’ll be time to do some re-evaluating, but for now, we’ll stay the course. So nice to see things going steadily back down! I stepped on the scale this morning, telling myself that I’d had a lot of salty food in the last couple of days so it was okay if I had a little gain. Does anyone talk to themselves before they get on the scale to get in the right frame of mind? 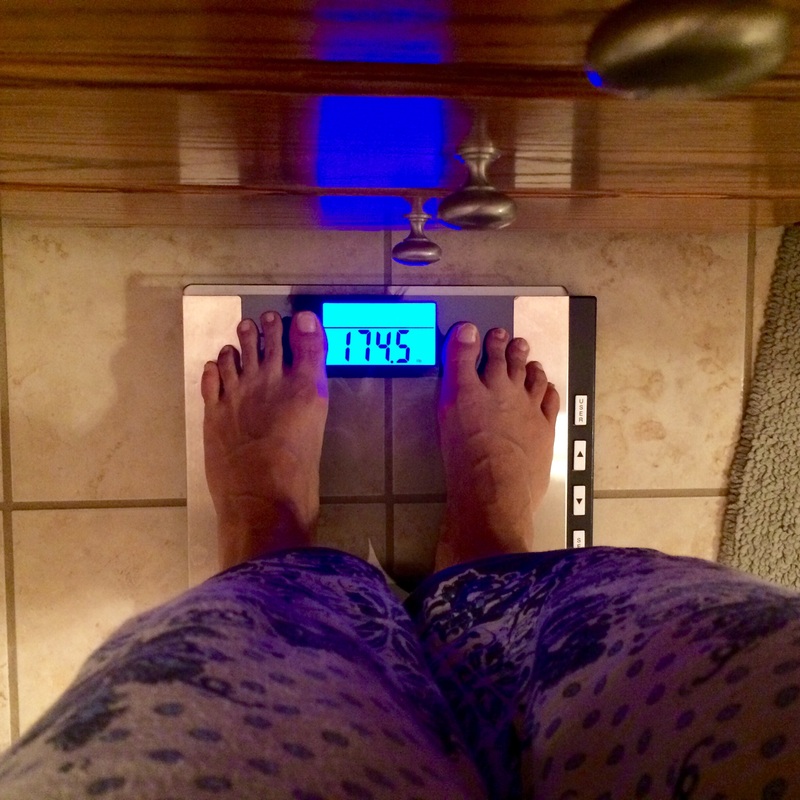 I was very pleased to see that number and know that I’ll be back in the 160s before I know it. 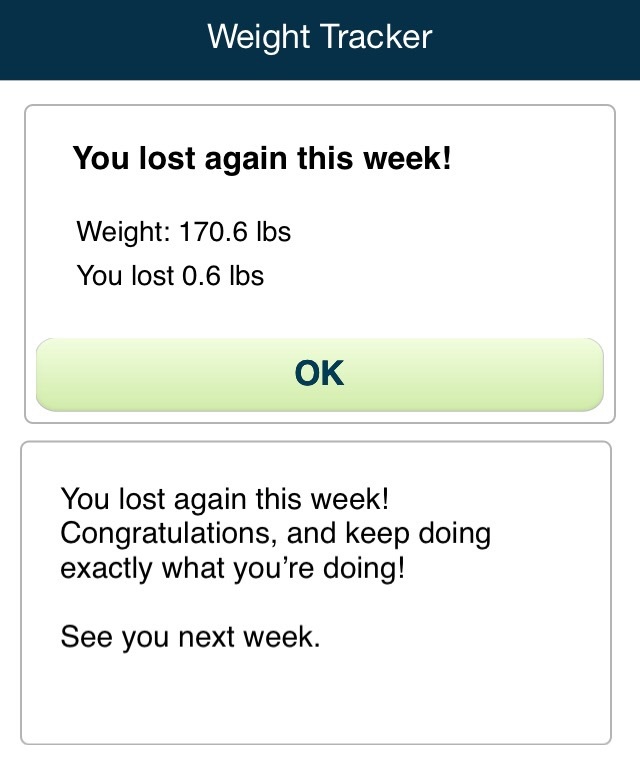 Getting back on track with normal tracking with Weight Watchers is definitely helping. 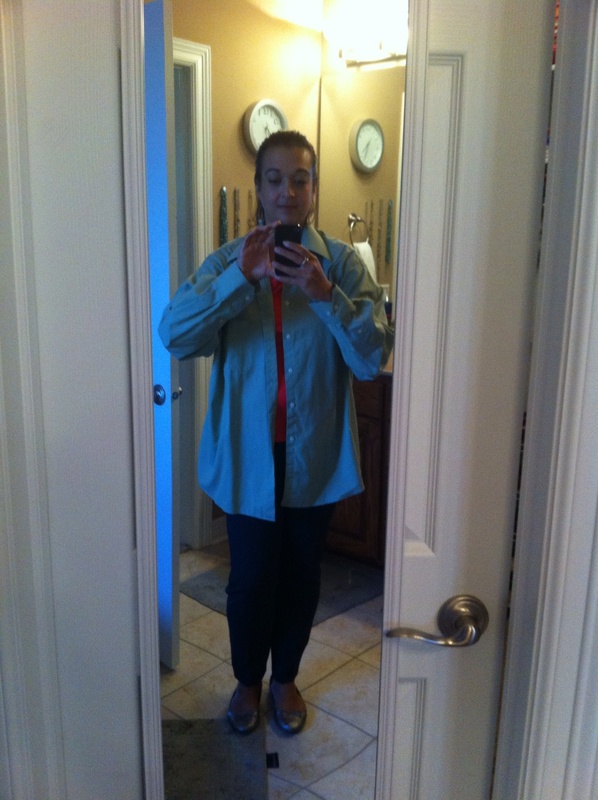 Not only is my weight going down, I feel “lighter” – definitely less bloated and my clothes feel a lot better. Even better, I feel perfectly satisfied with what I’m eating and with tracking again. I’ve tracked everything I’ve eaten, even in the hospital, except for the night we went to a local fundraising gala. That night, I had wine and all of my dinner and my dessert (and some of Darrell’s too) but never felt out of control. It’s so nice to know that I can have an evening “off” like that and get right back on track the next day without beating myself up about it. I’m plan on taking a similar approach to the holiday weekend. I’m going to track as much as I can, eat like a sane person for parties and Thanksgiving lunch and get back to normal when the holiday is over. I still have in my mind how physically sick I felt after going off the rails the weekend of the Des Moines half marathon, so that’ll help me keep things in check. I’m also bring healthy options with us for the meals we’ll be having with other people, including a fruit salad O is really excited to help me make and a veggie tray with some rosemary roasted walnuts. We’re also bring decadent macaroni and cheese and pumpkin pecan bars to keep things in balance, although I won’t be having those myself. I thought about the questions I asked last week about prepping for Thanksgiving and the food I most look forward to at Thanksgiving is the turkey, absolutely. I love roasted turkey. We even had a little mini Thanksgiving here at home this weekend because we all had turkey on the brain. 🙂 Roasted turkey breast is one of my favorite foods, so I’ll be sure I give it plenty of room on my plate at Thanksgiving rather than filling up on things like casseroles that I don’t love as much. 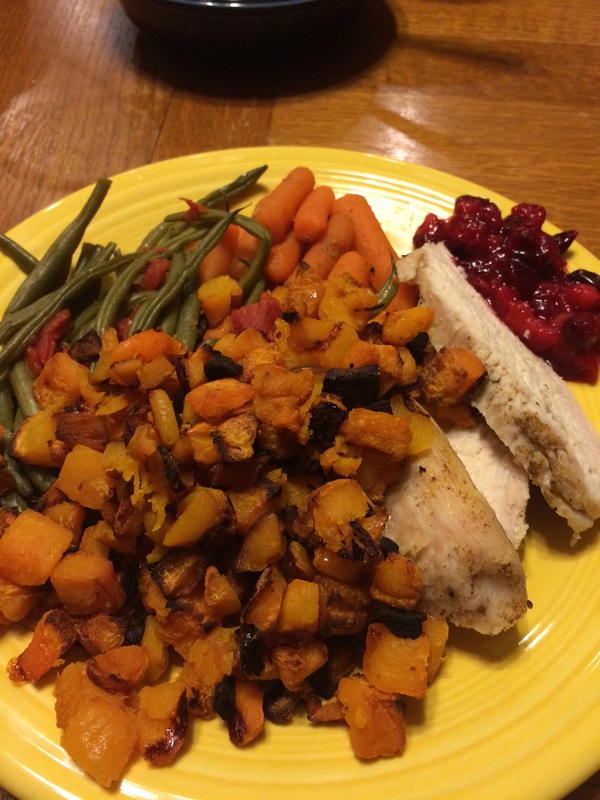 I even made homemade cranberry sauce, also a favorite, when we roasted our own little turkey breast this weekend. Most importantly, Monday morning, the holiday weekend is over. That means back to the training plan, with 5 miles/10 miles planned next week, and back to tracking normally. I’m okay with next week’s weigh in being the same or a little up so long as I get back on plan again Monday morning. To help you with your holiday planning, I’ve got links below to a bunch of old posts that may help with all of the travel and food pushers and Thanksgiving treats you may encounter. The most important thing is to be safe and be kind to yourself and those around you. 🙂 Everything else is small stuff. Happy Thanksgiving and safe travels for those of you on the road or in the air this weekend! As of last Monday (October 20), I’m back on the wagon in terms of tracking my WW points in weight loss mode. I’ve let things creep up over the last couple of months and if I want to have some room to indulge on some selected holiday events, I need to feel like I’m back in control of my food. I’m not a big fan of time limited weight loss goals, so I don’t have any deadline for getting back to my goal weight (167 pounds per my doctor’s note on file with WW, 164 for a normal BMI) but I do want to feel like I’ve got a better handle on things by the time Thanksgiving rolls around. My experiment with the Simply Filling program wasn’t a complete failure. I didn’t gain much weight and my clothes still fit (mostly), but it definitely gave me too much room to overeat when I was stressed and distracted. The whole idea of healthy foods being more filling and satisfying definitely doesn’t work well enough for me in times of stress. I can eat a lot of calories in just healthy choices, after all. 🙂 I did really like the way we were all eating the same healthy meals when I was doing Simply Filling, though, and I don’t want to give that up. One of the nice things about having tracked so much of my food in the last couple of years is that it allows me to look back to see how my points were distributed back when I was losing weight (at least at my notes and comments here or tracked on paper; the WW electronic tracking only goes back about 6 weeks). That has allowed me to devise a slightly crazy hybrid plan so that I can track my food, but also keep my Simply Filling dinners with my family in the mix. Back when I was losing successfully and maintaining well, I was eating 15 points for breakfast, lunch and snacks (i.e. everything but dinner). 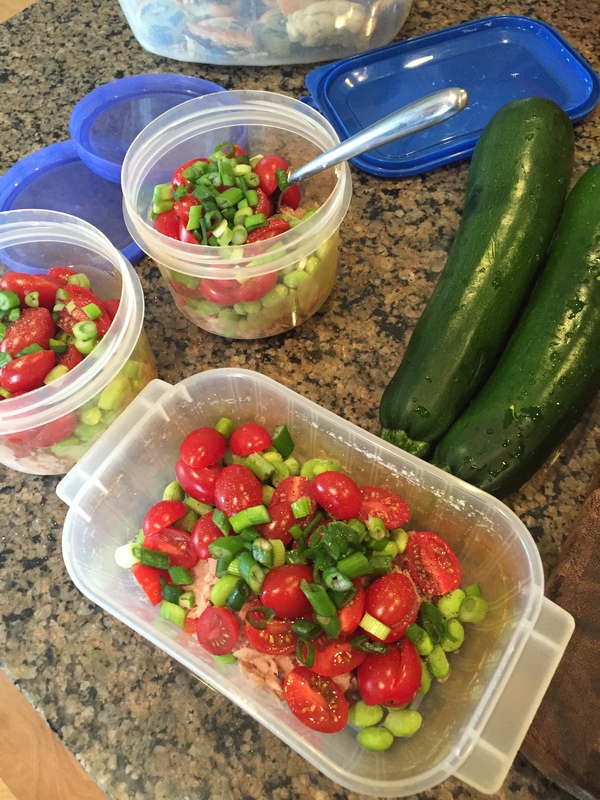 Thus, on days when I’m making a healthy family meal that doesn’t lend itself to easy tracking (like chili or a casserole), I’ll use that as a Simply Filling meal and focus on eating a reasonable portion. I’ll have my 15 points to use for the rest of my meals / snacks for the day. If we’re eating out or eating something that I could reasonably track without eating a totally different meal from the rest of my family, like last night’s quesadillas that I cooked individually anyway because that’s how I cook those, I track like normal with my 26 daily points. Especially as O gets older, I want to be sure we’re modeling good habits in all sitting down together to have a healthy dinner instead of mom eating salad and everyone else eating junk. We’ll see how this hybrid approach goes. Of course, there’s no way to set up this kind of ad hoc tracking in the app, so it’ll be on me and the honor system to see how it works out. I’ll keep you guys posted. I got a couple of little boosts in motivation this week to get me back on track. First, when I did my Tuesday morning weigh in, I was at 174.5, which means most (but not all) of last week’s big gain was just temporary post-run fluid shifting. It’s good to see most of that weight gone again but also good to be honest with myself about the fact that not all of it is gone, which means not all of it was due to just the long run. The first part of the Weight Control Registry packet has arrived. I was also thinking that I would let my FitBit sync with WW to calculate my activity points, rather than calculating them myself, to keep me from over-estimating my calorie burn but that syncing process is ridiculously slow! I’d rather eat my activity points (if I’m going to) on the day I earned them, but it has been a day or two before the points show up with the FitBit sync. I think I’ll just go back to manually entering my activity. As I’ve rarely eaten my activity points, overestimating probably isn’t hurting me much anyway. I’d like to get to the point where I feel like I can do Simply Filling for select periods, like traveling, where it would be easier to practice eating intuitively and sanely without tracking. Hopefully I’ll feel like things are back in control enough by Thanksgiving that I’ll be able to do that. I’ll keep up Tuesday morning weigh ins and keep you guys posted here as I go along. Anybody really ready for October to be over? It’s normally my favorite month of the year, but this month has run me ragged. I’m exhausted and looking forward to November, where I get a little bit of space to catch my breath. I woke up at 3:45 this morning so I could catch my 6 am flight to Salt Lake City. I am definitely done with 6 am flights! They are brutal, especially when you have to work all day once you arrive at your destination. Whew. Enough whining. Salt Lake City is beautiful today and this is my last work trip until February and I’m fortunate enough to have a job that allows me to see the country, so I shouldn’t complain, right? The same fatigue and stress that’s leading me to whine about my early morning also triggered a weekend where I struggled mightily with my food choices. Over the last couple of years, I’ve gotten so much better at dealing with stress and fatigue without turning to food but I definitely still struggle and this weekend, it wasn’t pretty. It started Friday night, when I’d decided to make spaghetti for supper because I was running a half marathon that weekend, so pasta for dinner was fine, right? I ate a reasonable portion of pasta, but the problem came with the fresh baked loaf of Italian bread I’d grabbed on impulse at the grocery store that evening. It was sitting there on the racks by the check out line, steaming up its little bag because it was so fresh and warm and I caved (again thinking “I’m running a half marathon this weekend” – see a theme here?). I had a piece of the bread with dinner, no butter or anything and literally moaned with enjoyment of it. Bread is such a trigger food for me and this bread was soft, chewy and warm and perfect. I told my husband he’d need to take the loaf away because I didn’t think I’d be able to stop myself from eating more than one piece and sure enough, a couple of minutes later, he did have to take the loaf away when I reached for more (he did ask if I was serious when I asked him to help me and I grudgingly admitted I was). I also had a cookie that night (recipe coming next week!) and I can’t even remember what else. No true binging, but definitely a lot more than I should have eaten and a lot of excusing it because “I was running a half marathon”. 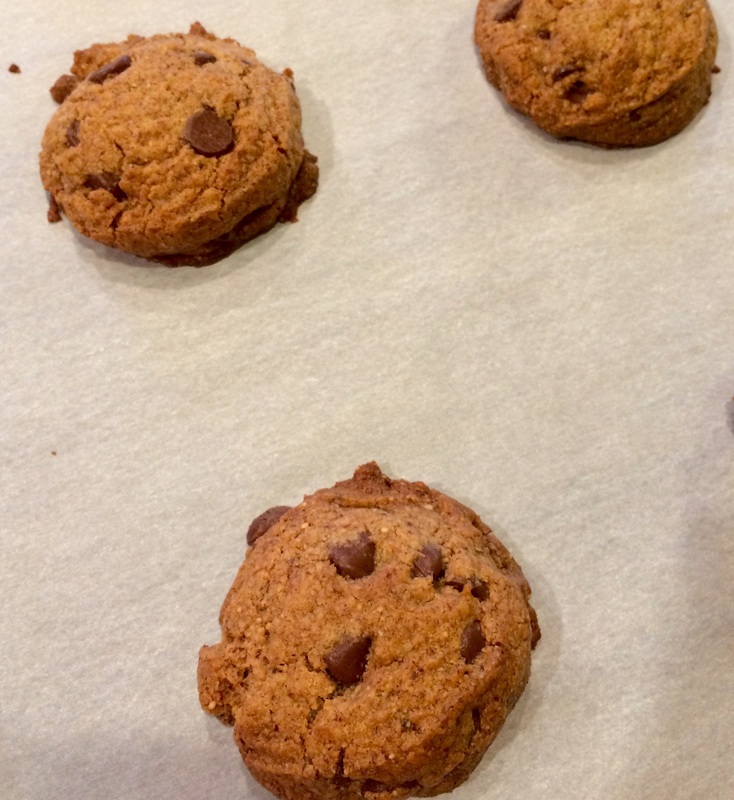 Chocolate chip cookies made with almond butter – yummy! Saturday morning, we went out for breakfast and again, I told myself I needed an extra carb for the race and ordered an English muffin. I forgot to specify no butter and it came drenched with butter. Instead of sending it back like I normally would to get a replacement or skipping it, I ate it anyway because hey, I was running a half marathon (how many times did I use this excuse this weekend? Countless!). I paid for that choice with serious GI upset for the rest of the day, enough that I packed Immodium for the race. Sigh. I had several errands to run Saturday morning before we could leave for the race. I picked up take out sushi for lunch and ate two rolls in the car on the way home. Not hungry, just definitely in eating mode. The excuse making and overeating persisted through dinner, where I ate at least 4 pieces of garlic bread and two bowls of pasta. It’s a miracle I didn’t have GI issues during this race. Post-race, I ate 2 of the sandwich halves they were offering in the awesome post-race food court, plus a Larabar and then we hit up a brunch buffet where I proceeded to eat enough that the post-binge feeling of shame and frustration totally overshadowed my excitement about the half marathon. I hate that I let food and my feelings about food rob me of the satisfaction I should have been feeling. I’d just run 13.1 miles for crying out loud – no matter my time, that was a huge accomplishment and I should have been able to celebrate that. Instead, I wallowed in more GI upset and self-disgust for the rest of the day. Even once I realized I needed to rein this in, I feel into the trap of “tomorrow I’ll get back on track” and ate a bagel with almond butter because I had them both and I wouldn’t be eating things like that once I got back on track. Might as well get them out of the house by eating them rather than wasting them by throwing them away, right? And another cookie of course. Was I hungry? Of course not. I definitely wasn’t feeding any physical hunger by this point. Thank goodness this is out of the house now. I did get back on track Monday morning, back to tracking WW points and making healthy choices. And I did weigh in Tuesday morning, knowing I’d see a big number from the weekend of overeating and the long run (I’m always up a few pounds after a long run). We’re going to hope at least a few of those pounds are due to the long run, but regardless, I needed to face the number.